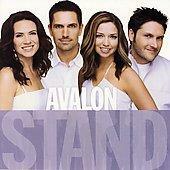 In my last music chords article on “Where Joy and Sorrow Meet,” I expressed my dislike for the new Avalon album, Stand. Well, I’m trying out Rhapsody and I’ve had a change of heart. There are three most songs that I’ve come to like. I’ve chorded another one of them. Again, since the album was just released, there are no free chords online or for-pay sheet music available. I guess, I’ll be the first one in the world to make public any type of music transcription of this song! Yay, I’m famous! Enjoy! Note: Lots of these chords are better played no3 (omit the third note in the chord). This entry was posted on Friday, March 17th, 2006 at 11:44 am	and is filed under Chords, Music. You can follow any responses to this entry through the RSS 2.0 feed. You can leave a response, or trackback from your own site. I WANT THE LYRICS WITH THE NOTES!!! yo this song rocks! but i wish the notes were with the music lyrics!! Could you send me the lyrics in large print with cords. Last night I capo using G EM and D for the chorse what are the cords for the verse ? PS Please keep the cord simple My fingers are short can\’t reach the long cords. Sorry, but there are a ton of wrong chords here…good try at it though. is there some simple chords for this song? I love the song but I can’t play the chords.